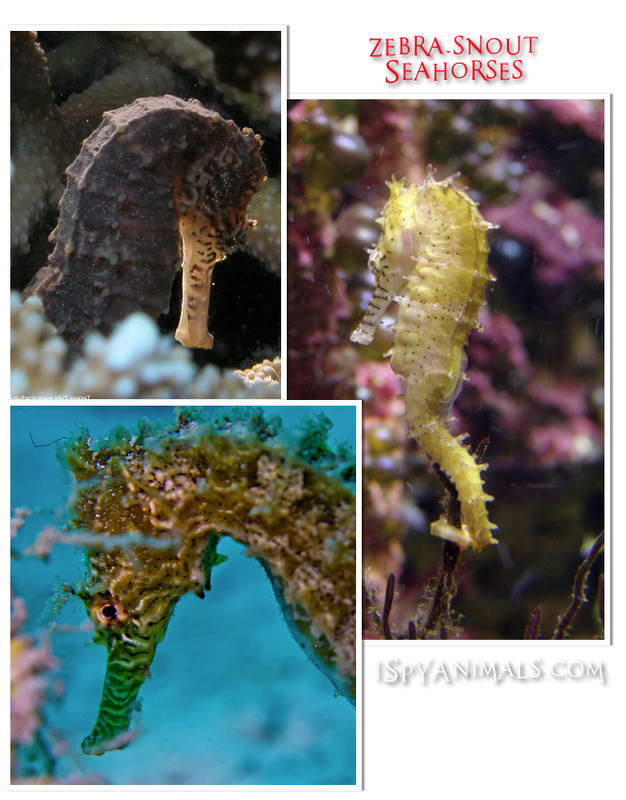 I Spy Animals: Zebras and Tigers of the Sea: Seahorses! 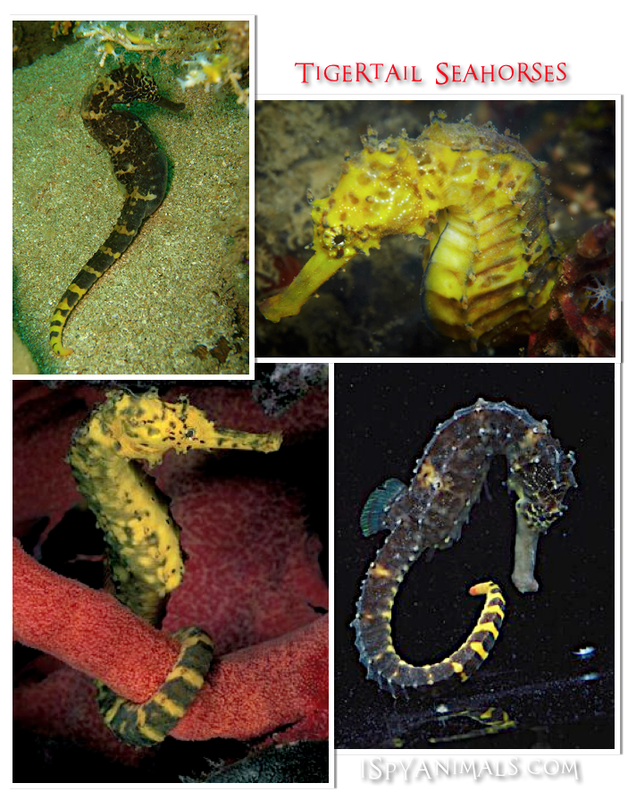 Zebras and Tigers of the Sea: Seahorses! Seahorses are not just colorful chameleons, changing to adapt to their backgrounds. Some have distinctive patterns of their very own. Pretty amazing! 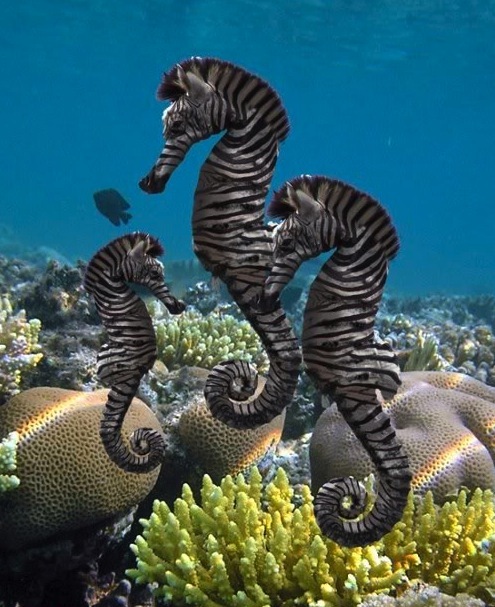 Zebra seahorses can be found living in Australian coral. And now for the Tigertail seahorse! 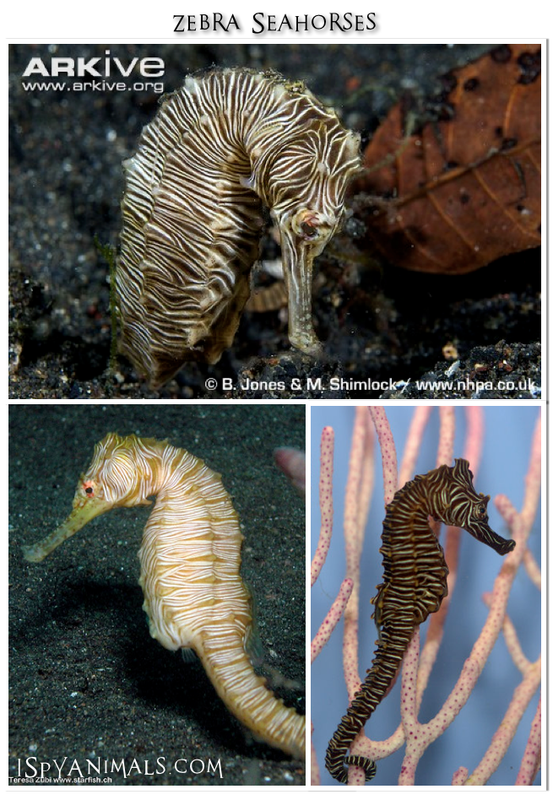 And if you think these photos are amazing, wait until you see my close-ups of seahorse faces...coming up next post! Leave a comment and let me know what you think of the Zebra, Zebra-Snout, and Tigertail seahorses! Heather, your seahorse is amazing! Great job. You are so welcome, Melissa...I love doing it! Very strange looking creature.At first I thought it was a drawing made to look realistic. They are all so beautiful. They're fragile yet, so strong, very devoted and loyal. What a wonderful creature to be.